At the spot outside La Belle Equipe cafe where paramedics knelt over dead bodies on that terrible night a year ago, people gather to drink wine and catch up with friends. Where police in riot gear ran with their guns drawn in pursuit of a possible suspect, a girl wheels past on a scooter. Where thousands of anguished Parisians gathered for a national service outside the Notre Dame cathedral, tourists mill about, taking photos. 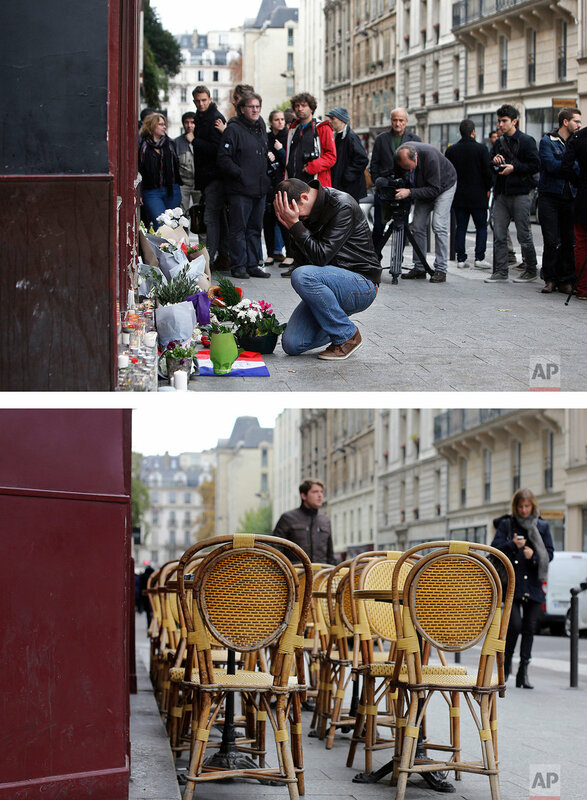 A year after Islamic State group attacks killed 130 people at cafes, outside the French national stadium and inside the Bataclan theater, people chat on restaurant patios, visitors take selfies at iconic sites and children play in the streets. To mark a year since the attacks, Associated Press photographers returned to some of the sites where the drama unfolded that night and in the days after. What they found is that while things will never be quite the same, Paris is still Paris. 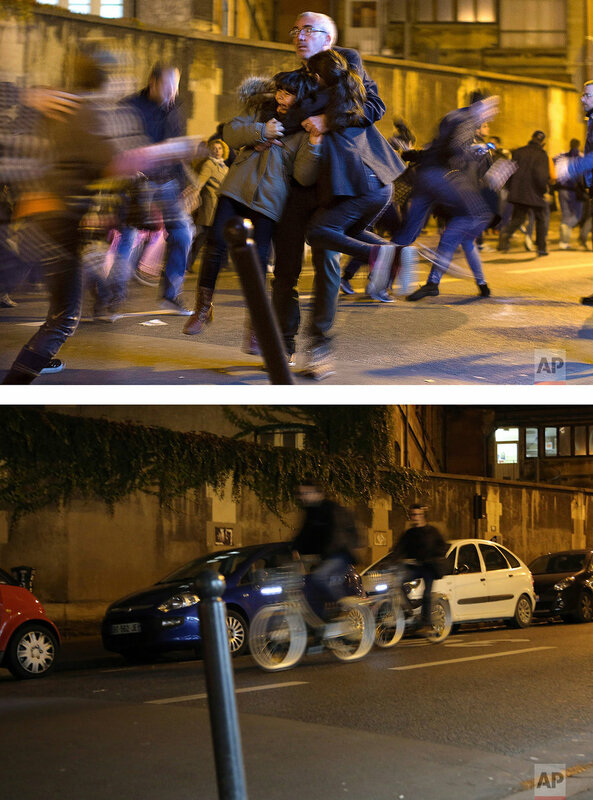 Text from the AP news story, AP PHOTOS: Scenes from the Paris attacks, 1 year later, by Cara Rubinsky.